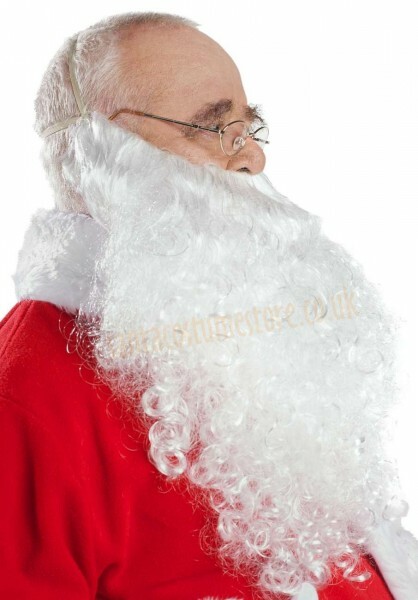 Our white Santa beard in a set with a wig is nice and thick, its hair arranged in natural curls and waves and 12" (30 cm) in length (some locks of hair are even 15.5"/40 cm long!). Santa’s beard is kept in place with two tough elastic straps. And for that extra certainty you can also glue it to your face with special beard adhesive. 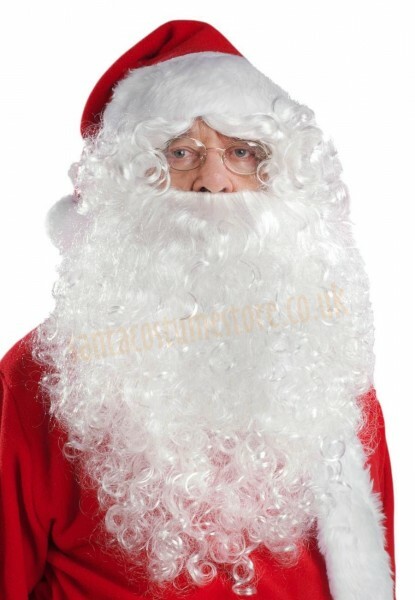 The Santa wig is perfect for covering the wearer’s own hair, ears, and elastic straps of the beard – making sure that Father Christmas isn’t recognised. 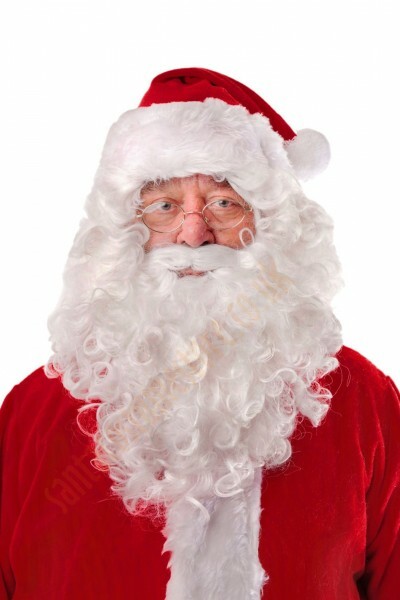 The entire set – the Santa beard with wig – looks very believable and suits the typical Santa Claus image. At the same time it’s convenient to use. 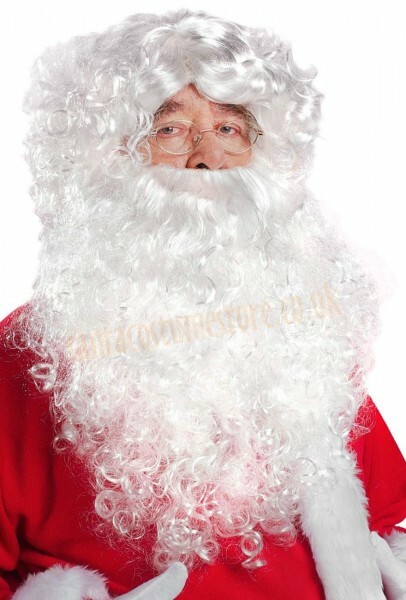 NB: this product only includes the Santa beard and the wig, while other costume parts visible in the photos can be bought separately.